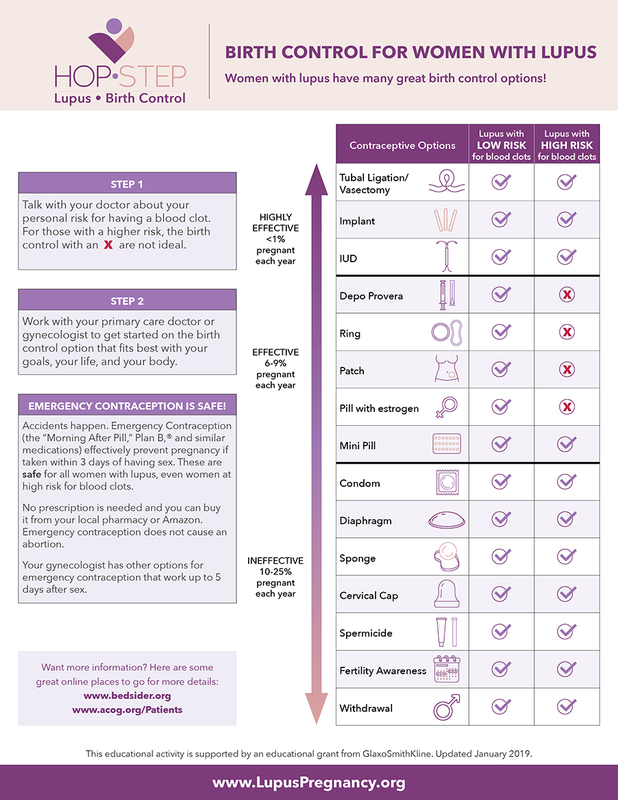 This handout discusses birth control options for women with lupus. Women with lupus have many great birth control options! This handout outlines steps for talking with your doctor and working with your doctor or gynecologist to get started on the birth control option that fits best with your goals, your life, and your body. Information can also be found on our birth control webpage.